After eight years of waiting, I’ve been given a community garden plot and I am beyond excited. This may come as a surprise to you for a number of reasons. It’s that Wheelbarrow thing – the assumption that I have a big garden. In my dreams I do. I dream of a small potager garden outside the back door. I would espalier fruit trees and berry brambles along a perfect fence – weathered wrought iron, simple design, pointy tops to keep out the animals. and allowing for plenty of airflow. There would be small discreet beds, and gravel paths. I would grow herbs and greens, a few chiles that are hard to find. I would hump dirt over potato plantings and dig out small rosy tubers with my hands. There would be a loamy bed for peas and beans and a sandy one for carrots and beets. Well, here’s the reality. We live on a big hill. BIG. Hauling stuff up and down a steep set of steps is a pain. 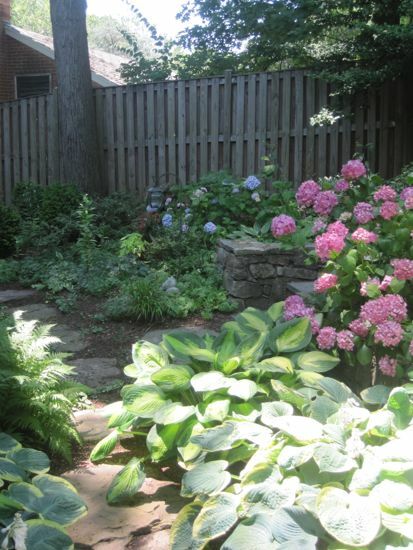 Consequently, over the years, the entire back garden has been designed to shine with very little fussy maintenance. It’s filled with shrubs and perennials and lots of Spring bulbs. Flowering plants and foliage colors. No matter what, I cannot grow one edible thing. The only fenced area is in the backyard, completely surrounded by eighty foot oak trees. This heavy shade keeps our favorite sitting spot, the shady nook, cool and pleasant, even on days when it is nearing 100*F. The fence keeps the deer out of the yard, but the squirrels, chipmunks (100s), raccoons, possum, fox, neighborhood cats, birds of all sizes and shapes, including hawks, and LOUIE run around the place with abandon. I cannot grow anything that these beasts won’t eat or crush before I can get there. Including a patch of 12 frais de bois plants that have produced dozens of fruits. I have tasted three berries in six years. Attempts to grow tomatoes in pots on the blistering hot front hilltop, near the house, or driveway, have been comical. I had three tomato plants in giant pots. They grew to seven feet and were covered with fruit. To keep them from deer and other pests (see list above) I wrapped the entire plant gently in deer netting. It was a huge inverted megaphone shape. The raccoon tipped the entire thing over, crawled in the top and took a bite from each tomato. The definition of despair. So I just gave up. It was all too much. 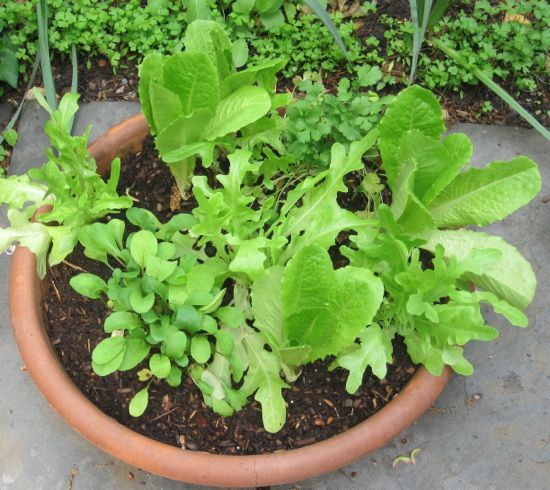 For three years now I’ve grown early lettuces in pots. And of course, herbs. 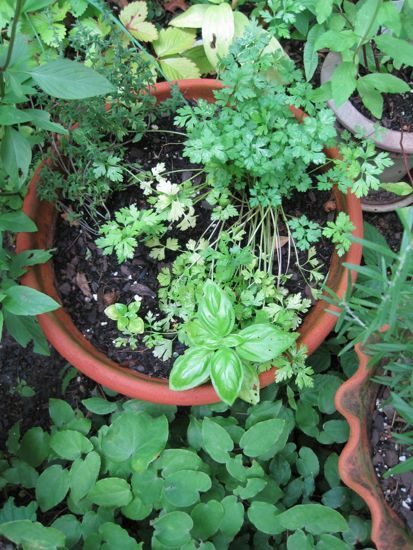 Tons of parsley, thyme, chives, oregano, rosemary, lemon verbena, dill and as many varieties of basil as possible. But there is only one tiny patch of sunny in the backyard, so that soil is tired and needs a rest. I started herbs in pots, which was fine, but all this time I yearned for a little flat and sunny piece of land to garden. I love the feeling of loamy black dirt between my fingers. The sight of a hardworking earthworm. Buds of new leaves on tiny plants, then the joy of early flowers promising food. I don’t love tomato hornworm and squash borers, but I still marvel at their unique function. I’ve missed the daily reminder of life that a little garden will provide and the joy of success when one of the crops just takes off. It’s clearly a crazy time to say yes to the community garden. After all, I have a deadline, right? Fiddledeedee… I’m just going to do it. It will be a good reason to leave the desk and stretch and put on some gardening clothes to sweat in the summer heat and pluck something incredibly fresh to bring home for dinner. I’ve had a time ordering some seeds, but refuse to give in to the deeper addiction and start seeds of rarer varieties. I have to be realistic. I will sprinkle parsley seeds in the ground, and radishes, lettuce and spinach. After that, I will buy a few little plants – herbs, a lot of herbs – and as many chiles as I can fit. Mind you, I haven’t even seen my garden plot yet. I don’t know what’s there already. But I’m dreaming about it all the time. I miss you all, my blog friends. The book is coming along well and I think of you all as I’m writing. You are my muses, you’ve been with me all the way. I’ll be back in a few days… I’ve been cooking up something fun. I am with you about the frustrations of trying to grow edibles in a shaded D.C. yard surrounded by woods where hungry critters abound. I have grown huge vegetable gardens in other places I’ve lived. My Vermont garden was on a site where dairy cows had hung out for 100 years, and was the most fertile plot of land imaginable. In Santa Monica, we filled our entire back yard with raised beds, gardened organically year-round, and also had a large perennial herb garden. I’ve decided that the combination of my intolerance of D.C. summer heat/humidity and my bad back have rendered me a poor candidate for community gardening. I enjoy going to the farmers market and supporting local farmers, knowing the back-breaking labor they endure in the local growing season’s climate. I once read an essay by a British gardener who had moved to a new home, a cottage near Dover. He spoke of the soil having been worked for 400 years. We have nothing like that in America, so places like your Vermont garden are such treasures. So exciting for you, Cathy!! 8 years?! You have much more patience than I ever will! I have a flat patio perimeter to work with. I planted all kinds of crazy things last year, and though it’s a sunny spot, nothing fruited! I was so disappointed–not a fig, not a raspberry. I had too much kale, 5 tiny strawberries and 3 small tomatoes. I’m thinking I need to invest in a flowering bush of some sort to attract the bees. Does your community garden keep bees? If not, you get the added bonus of other folks’ flowers and for that, I’m envious! Happy planting! I wish they kept bees! In a small space, make sure you add planters with flowering annuals or herbs so the bees are attracted to your space. Salvia is great, easy to grow, as is verbena. I feel much better about my garden fails now! I have so little sun and so many animals too – and mosquitoes, heat, humidity. I guess I will stick with my herbs, kale and, like Zora Margolis, the farmer’s markes. Enjoy your plot! I miss hearing of your garden! I too am on a waiting list for a plot, although my mother in law grows all I need on her plot for me she struggles with some of my fancier choices- like the yellow beans, I don’t quite know what she thought they were but she decided not to water them but leave them to dry! I look forward to your adventures on your plot! Congratulations! I got tired of waiting for a community plot and a group of us got together and danced the red tape tango and are in the process of building an 80 plot garden. It has been a great adventure and our community has come together and shared talents. I look forward to spring planting. How fun, Sharon! Congratulations on making good sue of land otherwise left fallow. Community gardening has it’s own challenges too – namely that it’s a lot easier to forget about what’s planted there when you are busy. But if plant wisely, with varieties that will stand up to neglect (beans, peas, squash, potatoes) you should do well. And if not, you’ll always have your lettuce and herbs to fall back on. Congrats on the community garden plot! As a Maryland gardener you might like to check out Univ. of Maryland’s Grow It! Eat It! 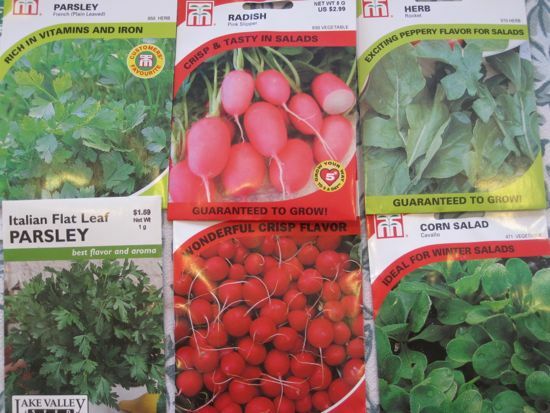 site- growit.und.edu – among many treasures there, look for HG16- Planting Dates for Vegetable Crops in Maryland. The Grow It! site may be the best of so many great things I learned about it in master gardener training last year. 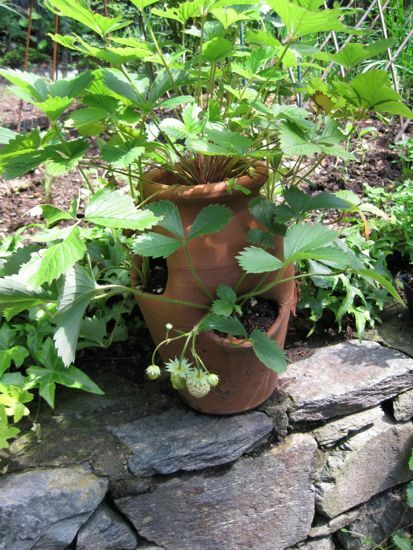 As for your alpine strawberries – I had a good 2012 crop from hanging baskets, if you have a sunny place for those. Happy gardening! Doesn’t UMd have the BEST Master Gardener program? I did it about 15 years ago and learned more about actual gardening than anywhere else. Tomatoes have been a disappointment for so many local gardeners, I’m not sure I will bother. I can get gorgeous ones at the market…. But we’ll see how seduced I get once it’s warm out. I hope you are as lucky as the person who took over my dad’s plot at the McLean Gardens community garden in 2001. His soil was so lovingly, naturally, amended for 20 years that he routinely had bigger larger healthier plants than the plots around him. [He’s a stealth composter and grew up on a dairy farm.] My folks garden in a community garden out in Silver Spring now, and when they do decide to give it up, the next person to get that plot will again be blessed with rich soil thanks to my dad’s ongoing efforts. I can understand your excitement. 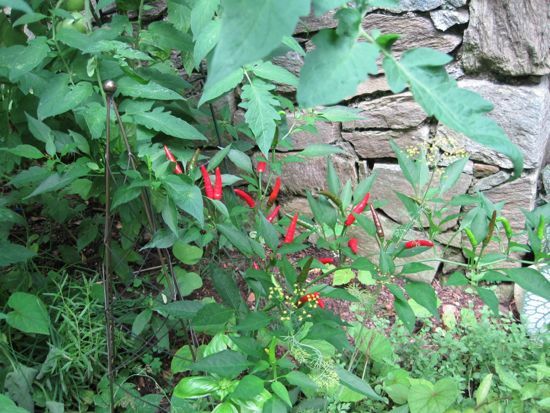 I used to have a big garden, not quite with charming paths but still; a big plot elevated by railroad ties and dotted with a variety of herbs and vegetables that sustained my small family for most of our summer needs. Then that tree next door decided to continue growing…and growing some more. Now my garden plot is in shade by noon and my veggies are no more. Delighted that herbs do well in those conditions though so still have a thriving mass of them, but I do miss the other so I get it. I’m selling this home that is far too large for one person and moving to a smaller, ranch style home. Beyond the criteria of a large open space for family and kitchen areas I just want some good sun in the back yard. Grass is totally optional…as long as I can plant a garden! Best of luck; I know it will be amazing! Cathy, you have inspired me to start thinking about my own garden. The ground won’t thaw out until June, but I can start baby salad greens indoors, and set up some cold frames made from bales of hay on the sunny side of my house. I think your garden plot came at the perfect time…what better way to take a break from writing your book than to go and dig in the dirt? Happy digging! Check out the following: http://cordarogarden.blogspot.com. 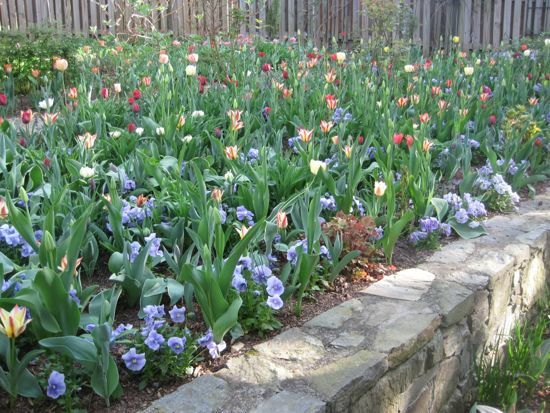 This blogger started a new plot in a community garden last year. Her posts are a learning tutorial with a wealth of pictures. She gardens in Allentown, PA. There are also yeilds from her garden. Congratulations on the garden plot! Some of my fondest childhood memories involve working in our very, very large garden. Since Daddy was a farmer and we had an abundance of land, we always had a huge garden. Rows and rows of peas, corn, butter beans, squash, tomatoes, and on and on. Everyone pitched in to help maintain the garden and to harvest and preserve the bounty. These days I have a small space but still manage to grow all the herbs, lettuce and tomatoes we enjoy in the summer. I’ve just been perusing seed catalogs this morning in anticipation of the coming Spring! Here’s a tip to keep critters out (I learned it from the U of I agricultural department back when they had a tie in to a local newspaper): Sprinkle your young plants with baby powder to keep them from eating the plants . . . It sounds crazy, but really works (they don’t care for the taste) . . .
Black loamy dirt? In this area? I have “lovely” reddish clay starting about 2 inches down. I put pigs into my garden each winter because they are the only things that can actually till this stuff. Have fun in your new patch of dirt. I hope to read lovely stories of what it produces and hopefully no stories on Stink Bugs! I have lovely dirt here in my home garden. I top dressed every bed with 6″ of well aged horse manure when we moved in. Every year since (14) I’ve added at least an inch of leaf compost or manure, or a mixture, depending what I can get. It takes time, but it’s possible to amend the soil and make that red stuff only a small part of the soil in contained spaces. Yay! I had heard that the waiting lines were quite long here in Virginia. Congrats! Better start composting. We have the same sun problem as you. This is why we have a raised bed for our tomatoes in the front yard. Our space is limited but we have had very good luck with various types of peppers. I still have a bag of frozen ones that I’m using up from last year. Tonight’s dinner: sausage, peppers and onions – oh my! With some penne and home canned tomatoes. We cheated and bought farmer’s market tomatoes to can last year. In your defense, “Mrs. Trowel” doesn’t have the same ring to it.